Disappointed with the Redmi Note 5 Pro flash sales? Xiaomi is now letting you skip the rush by enabling pre-order sale on Mi.com. Xiaomi smartphones have grown favorite among Indians, and any new device the company launches tends to attract a sensational response. Following the success of the Redmi Note 4 last year, Xiaomi launched the upgraded Redmi Note 5 series and managed to continue the streak. Xiaomi Redmi Note 5 Pro, which was launched in February, continues to be in popular demand. Till date, the affordable premium smartphone is being sold in flash sales exclusively on Flipkart, where stocks are replenished in a matter of few minutes. If your attempts to purchase the Redmi Note 5 Pro have been unsuccessful so far, you'll be delighted to know Xiaomi is offering a chance where you don't have to get in a queue. 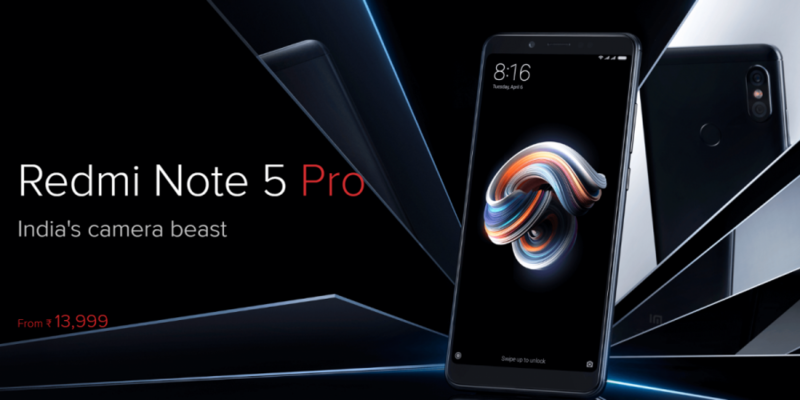 Xiaomi Redmi Note 5 Pro will be available for pre-order exclusively on the company's official website Mi.com on Friday, April 13, 12 pm onwards. By pre-ordering the phone, Xiaomi guarantees priority shipping within five business days. But buyers must make the full payment up front and cannot opt for cash on delivery. If buyers change their mind after placing the order, they can always opt out by canceling the pre-order. Xiaomi's pre-order system doesn't require buyers to be impromptu with their purchase. 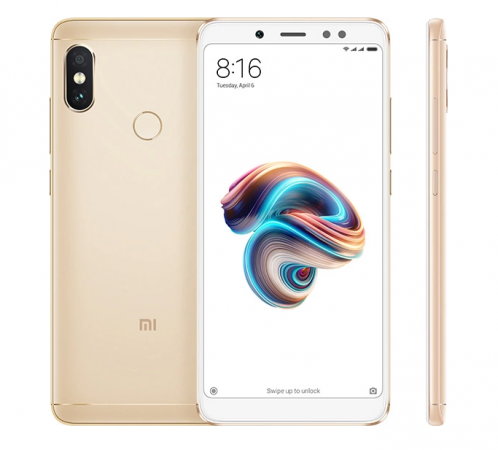 But if the online purchase itself is a notion you do not agree with, Xiaomi Redmi Note 5 Pro can be picked up from Mi Home stores and offline retail partners, albeit for a slight premium. Is Xiaomi Redmi Note 5 Pro worth buying? The popularity of Xiaomi Redmi Note 5 Pro is well justified by its low price and high specs. The handset comes in two variants, 4GB RAM and 6GB RAM, costing Rs 13,999 and Rs 16,999, respectively. For the price, the Redmi Note 5 Pro offers a 5.99-inch Full HD+ full-screen display with 18:9 aspect ratio, dual rear cameras with 12MP + 5MP sensors and a 20MP front-facing snapper for selfies and video calls. Under the hood, the Redmi Note 5 Pro comes with a Snapdragon 636 chipset, 64GB storage, 4,000mAh battery, MIUI 9 based on Android 7.1.2 Nougat and dual hybrid SIM card slots. There's a rear-mounted fingerprint scanner and a Face Unlock feature to alternatively unlock your smartphone in seconds. Are you interested in buying the Redmi Note 5 Pro? Share your views about the handset with us in the comments below.